Are you geeky enough to work at RustyBrick? Love PHP, dream MySQL? 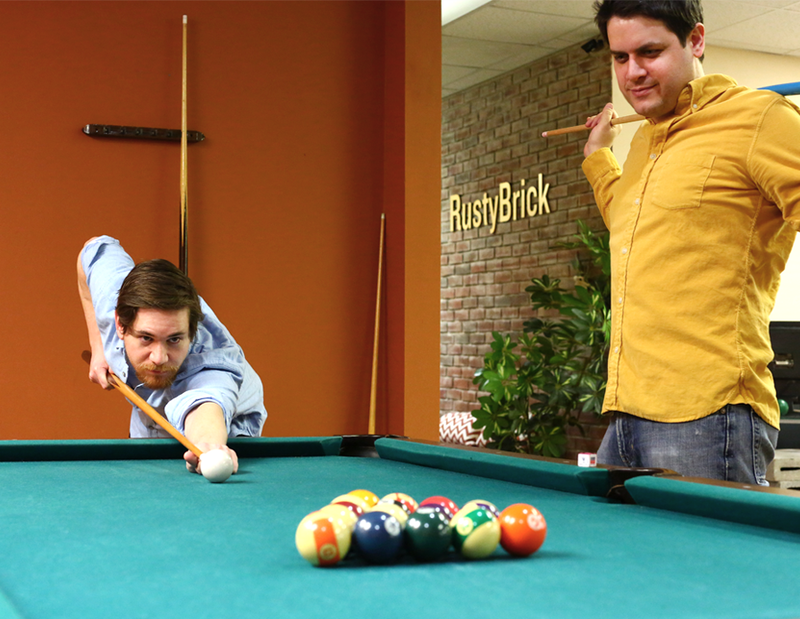 Apply for a job at RustyBrick today! At RustyBrick, it is not just about building great technology and beautiful web designs - it is about creating a place where you can grow your skills while growing your future. Our motto is that happy coders, make happy code, which results in happy clients. But the same motto works for all our departments; development, design and marketing. The work culture at RustyBrick is very relaxed and enjoyable, but that does not mean the jobs are not demanding. Our projects range from advanced e-commerce systems and social networking sites to web-based back office workflow solutions and mobile applications. The flexibility given to project development and design is key to the employees success in creating a complete and outstanding final product. Sharing in that success gives a sense of ownership and pride in the outcome. Life at RustyBrick is fun, pressure-free and at the same time challenging. Employees not only are friends at work but hang out after hours and on the weekends to play poker, video games, share in celebrations and more. The team is more than just a job; it is a form of extended family. We are looking for bright local candidates. Do you love PHP? Dream MySQL? Inquire within. Android developer position opening to work on both internal projects, as well as projects for outside clients. iOS/iPhone developer position to work primarily with outside clients as well as maintaining current internal apps. Design jobs for both web design projects, mobile design projects and intranet based software. QA Analyst to help debug our web and mobile software. Support & Sales jobs to promote and support RustyBrick products.